Hi! I'm Vicki, the designer at Bishy Barnababes. I was born and live in Norfolk, a part of England where ladybirds are called bishy barnabees! 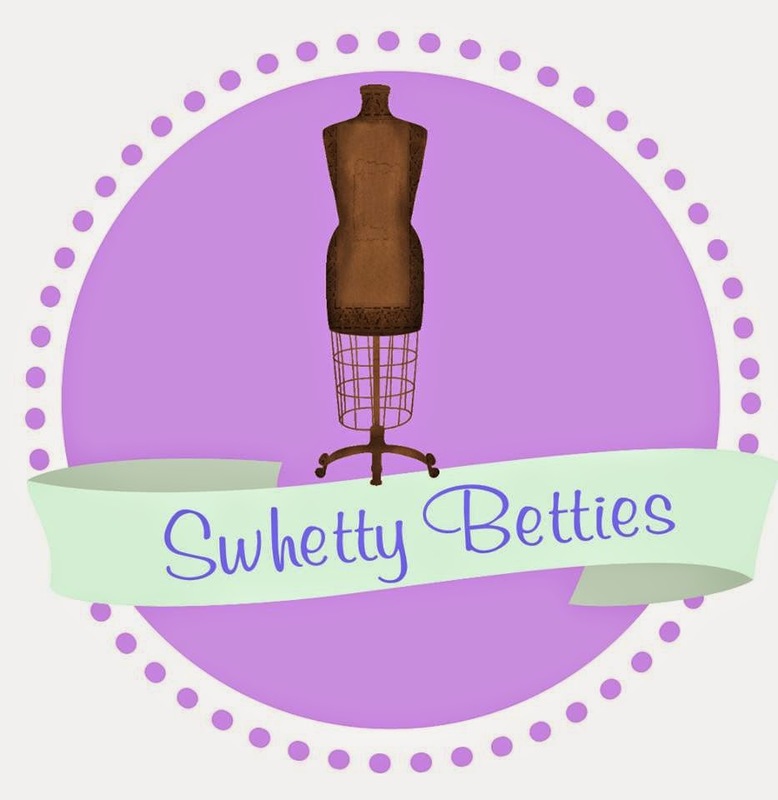 I've been sewing since my grandfather taught me using his Victorian Singer sewing machine around age 4 or 5 and I had great fun as a child making my own dolls clothes. Since the birth of my wonderful daughter, I have loved designing and making unique clothes and other items for her. I am so excited to be part of the Aspiring Designers Challenge and to be able to share with you my first PDF pattern – the Animal Puppet Purse. 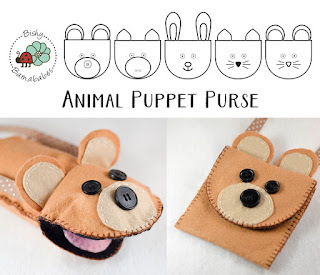 Inspired by my 3 year old daughter's need to always carry a purse to put small things in and her love of puppets, the puppet purse has both! It incorporates a small, snap closed purse (wallet), where children can put their pennies. Then un-snap and it turns into a hand puppet. With the addition of an optional strap, it can be hung round the neck or strung over a shoulder. 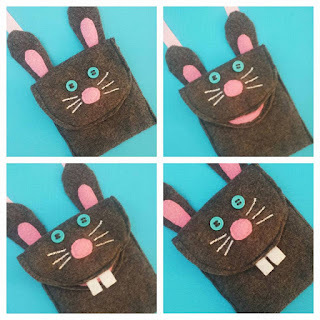 There are pattern pieces for 5 different animals – bear, pig, rabbit, cat and mouse, but is can easily be adapted for many more! 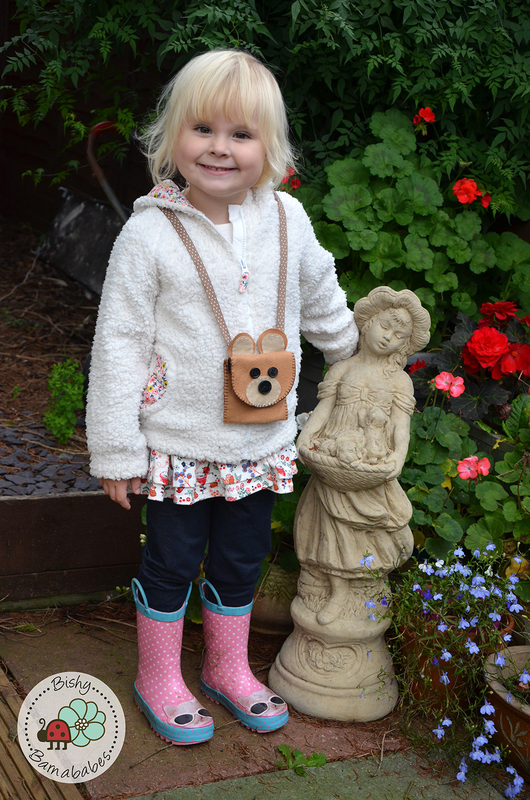 It also comes in 2 sizes – small for children up to 5 and large for those over 5. The detailed instructions give information for both hand and machine sewing. Several of my testers, who usually use their machine, really enjoyed the relaxing pace of a hand sewn project. 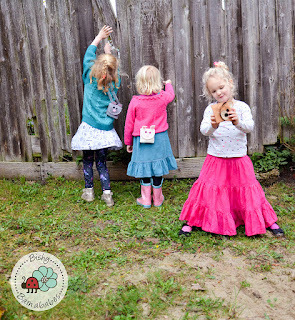 It can also be a project to work on with your children and get them making one! Using felt, fleece or other non-fraying fabric, it can be made from left-over fabric you have laying around or you could use it as the opportunity to go shopping for more! The pattern contains a chart showing the size of each piece of fabric required, making it easy to see if you'll have enough or need to buy more. All measurements are in both metric and imperial. It can be printed with both letter and A4 paper and uses a non-trim method of joining the pages, making it quick to get started. 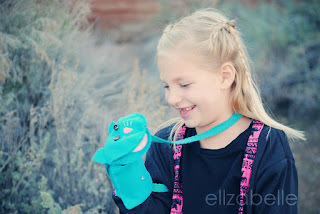 Kids love the puppet purse and several testers have had to make more than one so that each of their children can have their own! I've been making them for my daughter to give when she is invited to birthday parties – they're quick to make, don't cost a lot and I know the child won't already have one! So with the holidays coming why not make a unique gift to give to the children in your life. 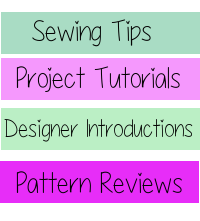 I'd love to see what you make so please share on the Bishy Barnababes Flickr group or join the Bishy Barnababes Patterns Facebook group. Usually priced at £3.25 (plus VAT if you are in the EU), around US$5. However, head over to my shop now and use the coupon code, FIRST, to get 20% off this pattern until Saturday 15th November. Alaina, Amber, Ann, Carissa-jane, Cindy, Ellen, Emily, Essence, Jennifer, Julie, Leanne, Linda, Liz, Louise, Lucy, Nicole, Olga and both Ritas. If you purchase the pattern and then win the raffle, I will refund your purchase. Also if you are too late for this raffle, head over to my blog where the raffle is running until Saturday 21st November. These are awesome stocking stuffers or quick gifts. Thanks for such a great pattern!